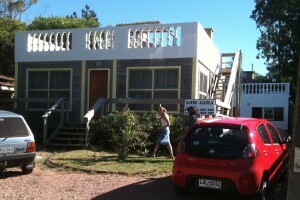 We moved to Piriapolis, Uruguay. Moving to Piriapolis, Uruguay, had bag stolen. We arrived in Piriapolis to find we were missing a bag. We think it was stolen. Ironically, it held our least important stuff. Whoever took it probably had high hopes for the Ralph Lauren Polo bag. The bag itself was not worth much; we had gotten it free. Just the name made it seem more valuable. I don’t think names like Eagle Creek mean much here. We think it was a front desk guy. That one had never been very friendly to us. Suddenly, he was mister helpful schlepping bags from the lobby to our car down the street. Or, it may have happened while the bags sat on the pavement as Chris loaded. The only stuff lost was some of my clothes. I quickly learned to live without them and now we keep a closer watch when packing. Even with city traffic, our drive from Montevideo to Piriapolis took less than 2 hours: good thing since we were ridiculously crowded. The dogs rode in my lap. We realized we would have to get rid of some stuff or pack it tighter before our next move. Rio de la Plata forms the western border. 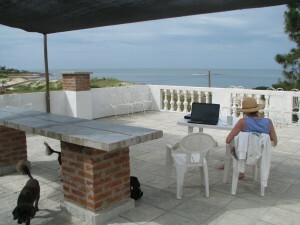 Piriapolis is “up” the coast, or east of Montevideo. 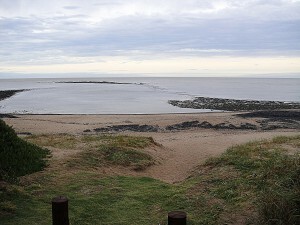 The coast of Uruguay runs from the mouth of the Rio de la Plata out into the ocean and up to the Brazilian border. There is “beach” much of the way. 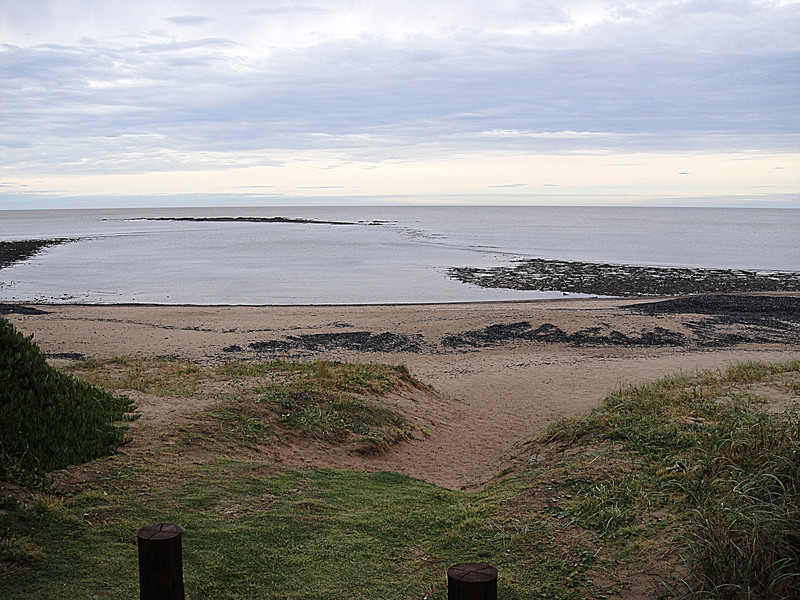 The beach from the mouth of the Rio de la Plata until it meets the ocean is flat. 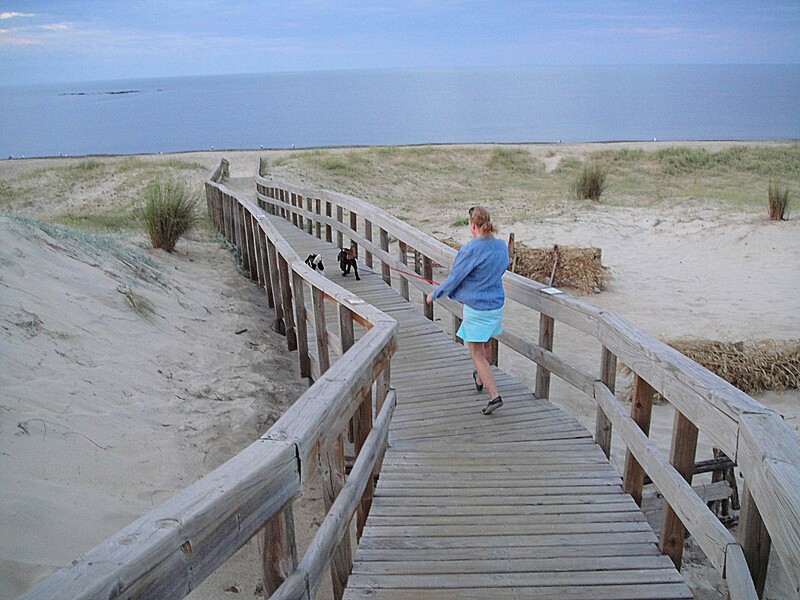 Once you reach the ocean, a large sand dune is formed near the water’s edge. This large sand dune runs all the way up the coast. If you go off the coast, most of Uruguay is grassland – cattle land. The Rio de la Plata forms the western border between Uruguay and Argentina..
Our new home was a single-level beach home with a large deck on top.The deck was a must since it was the only way to see over the sand dune between us and the water. The dune was continually shifting. The bridge to the beach had to be cleared and occasionally the road too. Lodging was very expensive at this time of year. January cost 10 times what was charged in April …and that is not an exaggeration. Homeowners try to make their annual income in 2 to 3 months. If the owners cannot get the high-priced rent, they will let the unit stay empty rather than come down in price. This is so different than in the US. Even if many of the units rented during this period, it was hard to believe that so many — like most of the vacation city of Punta del Este — sat empty for most of the year. FYI: International Living was VERY deceptive about this. There are NO cheap deals at this time. 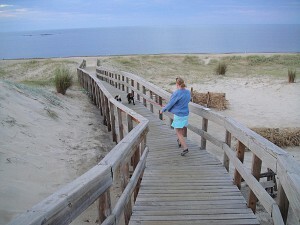 Walking over the dunes to Playa Verde, the green beach. We could never have rented our beach home if we did not have a car. We run into town frequently for groceries, the bank, and internet. We did miss having internet. The 3G stick was too expensive to use all the time. 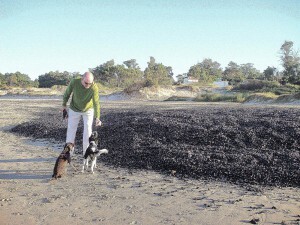 We loved taking our dogs out for a run on the beach. Even at the peak tourist time, we could always find a few hours in the morning before the beach sitters arrived. Most of our walks involved climbing over dunes made of mussels. Millions of mussels washed up on the beach. 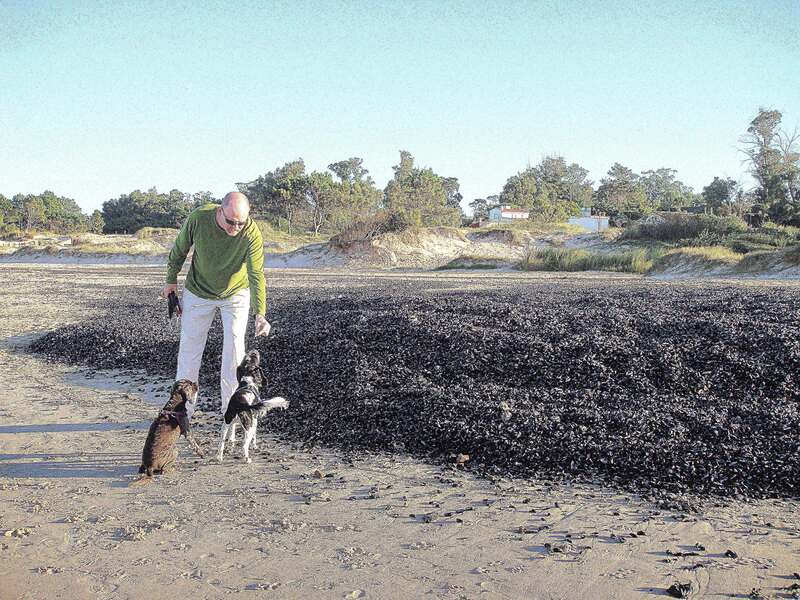 The dunes of mussels were as high as 3 feet. One area just off shore from our house was prime for collecting live mussels. I learned to prepare mussels and we enjoyed them for a number of meals. The island is prime for collecting mussels – it was only out of the water part of the day. A few nights we went crabbing, but we never got more than an appetizer. We had to go in the middle of the night. It got a bit chilly out there, wading in the water. 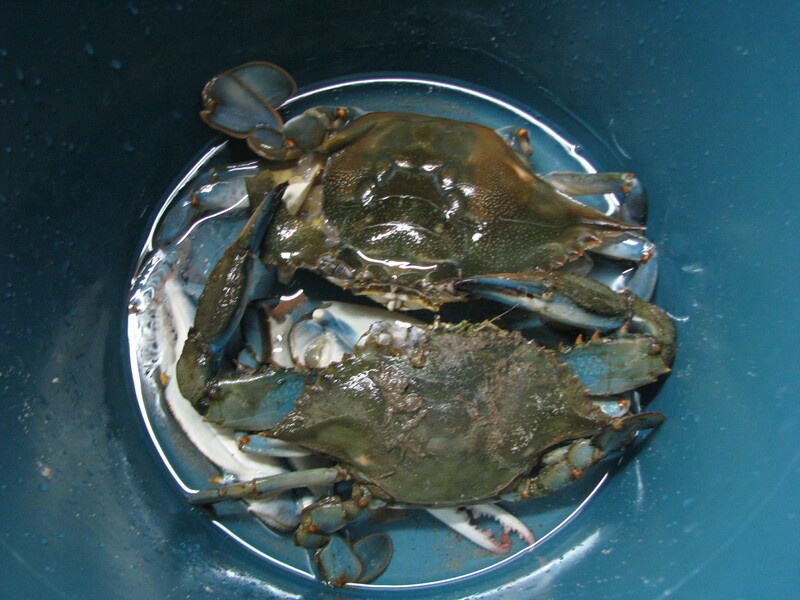 There were thousands of tiny crabs, but very few large enough to eat. We found these beauties on one of our night runs.